Where can I find Heartwood on Facebook? We have both a public page and a private page for Heartwood families. Where can I get the Heartwood Parent Handbook? The handbook and other useful resources may be found on the Forms and Resources page. Is there a Heartwood Parent Directory? The Parent Directory is a list of students and parents, sorted by classroom. It has address, phone and email information for each family. The directory is emailed to parents upon request as a PDF file. Please note that this directory is for use solely within the Heartwood community. It is not to be used for outside purposes as the information is proprietary. I’m not getting regular emails from Heartwood, what do I do? We send out lots of emails, so if you are not getting mail from us, we either don’t have your address or the one we have is incorrect. Please contact ginny@heartwoodmontessori.com or mary@heartwoodmontessori.com to update your information. What is a Carpool Greeter? Every morning between 8:15 and 8:45 am at least one Heartwood staff person will be standing in front of the main building to greet your children. They are there to assist your child in getting out of the car and walking them into the building. If you do not want to use this service, please park your car in a parking space and walk your child into the building. Please do not leave your car unattended in the driveway at any time. What is the carpool routine? Heartwood offers a carpool for the start of school, pick up at noon and pick up at 3:00pm, end of the day. 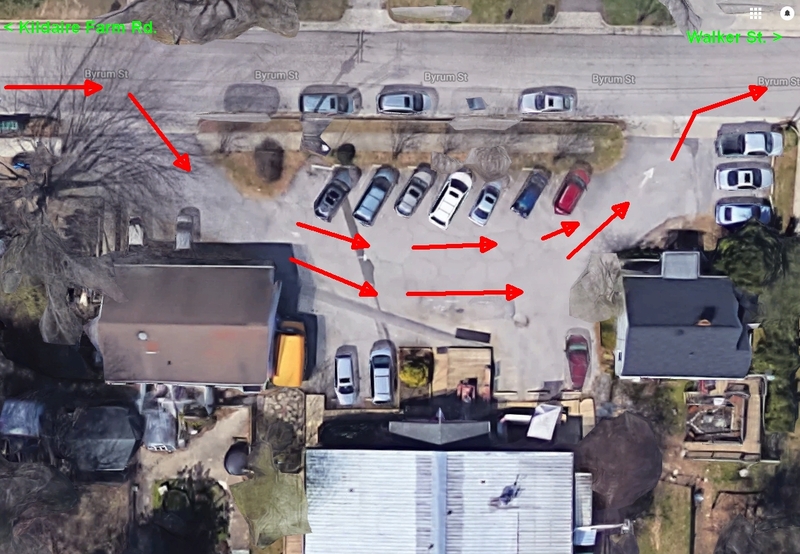 Because our parking lot is narrow and has limited spaces, we’ve put in place some rules that will help to ensure your child’s safety and expedite traffic at these busy times. Please pull your car up to the front door area. The greeter will open your car door and assist your child out of the car. Please don’t exit your car during this time. It is very helpful if your child is ready to get out of the car with their school belongs ready to go, shoes on, etc. This will move the line more efficiently. Most of the time we’ll have two greeters so will be able to unload two cars at a time. But, this is not always the case, so please wait for someone to open your door. Once the greeter has closed your door, please proceed SLOWLY through the parking lot and exit. Toddler parents also use the car pool, but the drop off space is in front of the Toddler House, not the main front door. Kristal or Misty will get your child out of your car and bring them inside. If you are doing Toddler Car Pool, you may use the drive through lane of the lot to pull up to the Toddler House main door. For preschool children. Please pull up to the car pool “corral” and exit your car to pick up your child. Note that the Middle and High School does not release until 3:00pm, while the Elementary and Children’s House releases at 2:50pm. If you arrive early, please park in a space or on the street so that you don’t block the carpool line. Please pull forward to the the car pool “corral” and wait. Do not exit your car; we will bring your child to you and help them get buckled. If you don’t wish to use the after school carpool, you may park your car and come to the playground to pick up your child. Please DO NOT LET YOUR CHILD EXIT YOUR CAR in the parking lot except with the assistance of the carpool greeter in front of the school. This is for their safety and the efficiency of carpool. If arriving after morning carpool, you must park in a designated space and bring your child to their classroom. Please do not leave your car unattended in the driveway. Only park in defined parking spaces in the lot. This will ensure we don’t have cars blocking the carpool line or exit. We appreciate your cooperation to help make carpool a safe, quick drop off for you and your child. You can reach any of the staff through email. Visit the Faculty and Staff page for a complete list. How will I find out about class events and school meetings? We communicate with parents and students through several means. You will receive monthly email newsletters from the school concerning school-wide events. Class-specific matters will be communicated through your teacher or room rep, or sent home in your child’s folder. The calendar on the main hallway bulletin board also lists school and classroom events, field trips and more.